SGX Minerals Private Limited - Supplier of manganese, bauxite & feldspar since 2006 in Mumbai, Maharashtra. 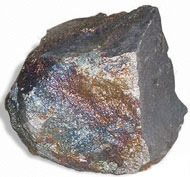 Manganese is a brittle metal. Physically, it is a hard gray-white to silver metal that looks like iron. As an essential ingredient of steel, Manganese is the 12th most abundant element which is widely distributed on the earth’s crust. It is also the 4th most used metals in terms of tonnage. Bauxite is basically an aluminous rock containing hydrated aluminum oxide as the main constituent and iron oxide, silica and titanium in varying proportions. Feldspar’s are one of the most abundant rock forming minerals in the earth's crust, comprising a complex series of aluminosilicates with varying amounts of potassium, sodium and calcium and rarely barium. Aggregate is an important material used in civil construction. The dark hard rock is crushed and serves as base material under foundations, roads, and railway tracks. It is also used as additives and binder to asphalt and concrete mixes. 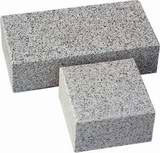 Cobble stones are made from highly durable stones, usually granite or basalt. They were usually dug from nearby areas and then cobbled, or roughly shaped into the size needed. The cobblestones were then set in sand or mortar. Sand allows the road to gently give to traffic, preventing the cracking associated with pavement or asphalt. Streets paved with cobblestones have proven their durability and longevity by showing up through worn out sections of paved roads throughout the world.